Today I’m over at Red and Honey, talking about why leeks are my new favourite fall/winter food! Eating seasonally is becoming increasingly important to me, so I want to tap into the great potential of some lesser-known vegetables as much as possible. Enter leeks. Delicious, nutritious, and comforting in the early weeks of winter. I can’t get enough leeks these days. It’s the perfect time to eat leeks — they’re some of the only vegetables still standing in the garden (Yes! In early December!). If you don’t grow your own, you can probably still find them at your local farmer’s market for a good price. I thought I’d share another scrumptious leek recipe, in addition to the oh-so-heavenly leek and potato soup and the to-die-for gratineed leek recipes I’m sharing with Red and Honey. 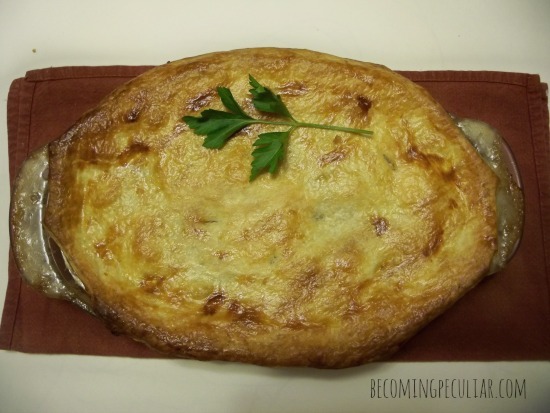 We’ve been loving this mushroom and leek pot pie lately. 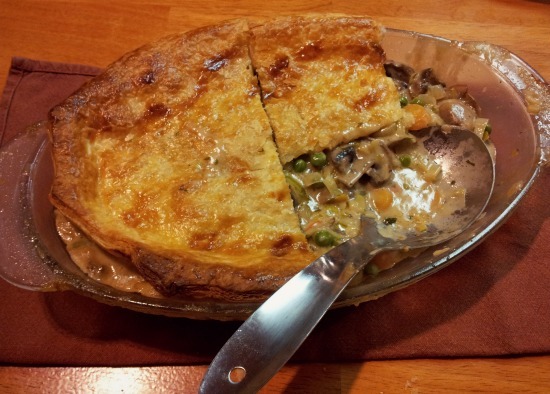 The leeks and optional white wine make it feel fancy and slightly exotic; the pot-pie form with mushrooms smothered in warm savoury cream sauce make it feel cozy. A beautiful balance of classy and comfort food, in my opinion. Note: this is not a low-fat dish, boys and girls. Plenty of butter and heavy cream. No complaints here. And this is the one dish where I’m willing to be lazy and just buy store-bought butter puff pastry. Perhaps not the most real-food entree, but it’s so delicious and full of nutritious seasonal vegetables I’m willing to deal with it. Start by taking your puff pastry out of the freezer to thaw, at least half an hour before you even start cooking. I hate when I get to the end and realize my puff pastry is still frozen solid. Melt 4 Tbsp butter in a large skillet, and slowly saute onions, leeks and carrots over medium heat until they begin to soften. Remove to a 2-quart (2-litre) glass dish (oval is nice, but rectangular works, too.) Add frozen peas to the dish, too. Melt 3 more Tbsp of butter in the same warm skillet; add mushrooms and saute until wilted, adding more butter if needed. Remove with a slotted spoon to the glass dish with the other cooked vegetables. Now return pan to heat and add yet another 3 Tbsp of butter to melt. Add sherry or wine (if desired) and reduce until half the liquid has evaporated. Then add flour and stir constantly for 1 minute over medium-high heat. Gradually stir in the stock and then the cream, stirring continuously. Cook a few minutes longer until sauce is smooth and thick. Stir in parsley. Taste, and adjust seasoning with salt and pepper. Add sauce to the vegetables in the baking dish, stirring everything together with a wooden spoon. Roll out enough of the pastry dough to fit the top of the baking dish. Place on top of the dish and make a few slashes for steam to escape. Mix the egg yolk and milk together and brush over the dough. If there is leftover pastry, you can make shapes with it to decorate the crust. Place the pie in the center of the oven and reduce the temperature to 375. Bake for about 45 minutes (checking often), or until the crust is golden brown. Ta-da! Delicious winter comfort food. Again: check out my recipe for gratineed leeks at Red and Honey for more scrumptious ways to use this amazing vegetable. 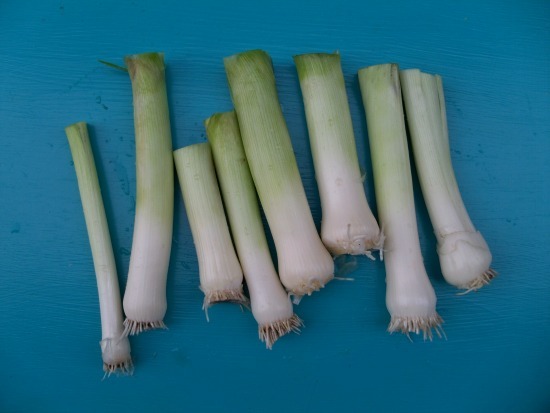 I just commented on your post at Beth’s place about leeks–they are all gone here! But maybe we’ll get a second round? Anyway. This looks a-MAZ-ing. Definitely going on the menu for this month (local is best, but leeks are reasonably priced in the stores around here, so…*shrug*). That looks delicious! Do you think it would turnout okay if the mushrooms where skipped? DH can’t stand mushrooms and I don’t care for their texture myself. Is there something that would be a good substitute? 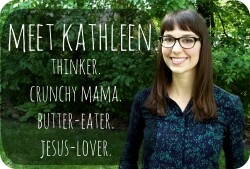 Michele recently posted..Night Weaning – The Key to Sleep? Hmmm . . . maybe chopped, roasted chicken? You’d probably need about 1 1/2 cups of chicken to fill it out, I’m guessing. We love mushrooms, so I’m often substituting it the other way around! Oh I want to make this so badly! Quick question though… where do the leeks come in? Do they get sautéed with the onion and carrots, and if so, do they take as long as those, or should I be adding them after the onion and carrots have cooked a bit? OOPS! I’m so sorry Meghan!! I’ve corrected it in the recipe — sautee the leeks along with the onions and carrots. Thanks for catching that! !